Located in the heart of Historic Downtown Frederick, Baker Park is a 58 acre space complete with jogging and bike paths, multiple playgrounds, a picturesque lake, and much more. Over 75 years old, this pet friendly park continues to serve as a popular venue for sporting events, concerts, festivals, and all kinds of recreational activities. Baker Park is home to some of Frederick&apos;s most popular events. 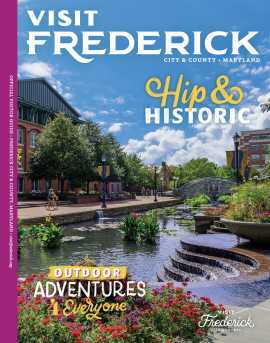 Frederick&apos;s Fourth, an annual July 4 Independence Day celebration, features a wide variety of entertainment all day long ending with a fireworks finale. The Summer Concert Series invites everyone to get up and dance to live music from pop to reggae. Check out a full list of Baker Park events below the map!